Booties! Still a little big and often kicked off, but oh-so-warm for my fast-growing and otherwise cold-toed baby girl. Tree garland inspired by Julia's. I'm doing a very long knitted i-cord version. Yes, I've just begun knitting it; This way it's sure to be done by next Christmas! A rag rug made of old worn out bedsheets, which I cut into strips and then tied together and wound into a ball for knitting. It is just too hard on the hands, and I've lost all motivation to keep going! I may try braiding it instead. Happy New Year, Friends! Wishing you every blessing in 2015! Why not blend the sheets with wool yarn and crochet it. I bought a HUGE hook and followed a felted rug pattern from Halcyon Yarn. The crochet was less cumbersome than trying to knit. I had a business in college making rag sweaters. The stripping, however, was cut on the bias. Much easier to knit, but looked fuzzy pretty quickly. If you braid, then you still have to sew the whole shooting match together. If you crochet little rounds, they could be placemats or chair pads. Just a thought. Welcome back! Hmm, crochet is a good idea. I do like the idea of using old bedsheets. Usually mine become rags but your idea sounds so much more useful. 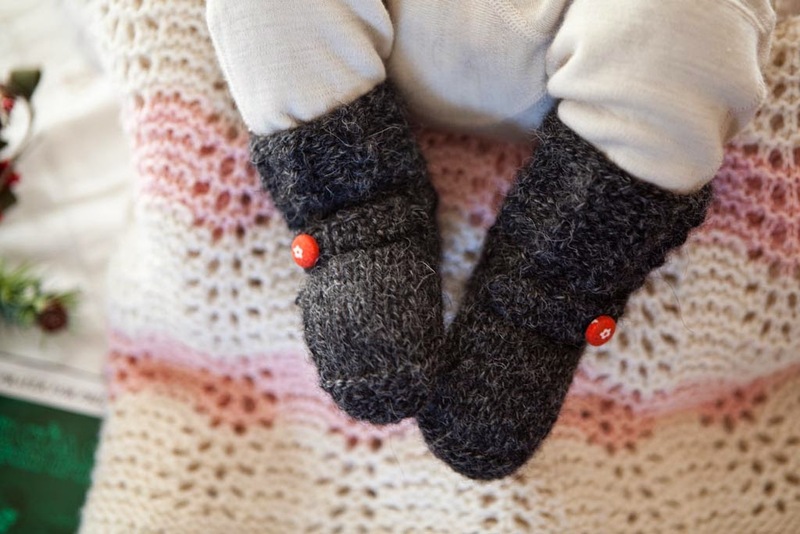 The booties are adorable, and useful too! I crochet a rag rug using a super large crochet hook. 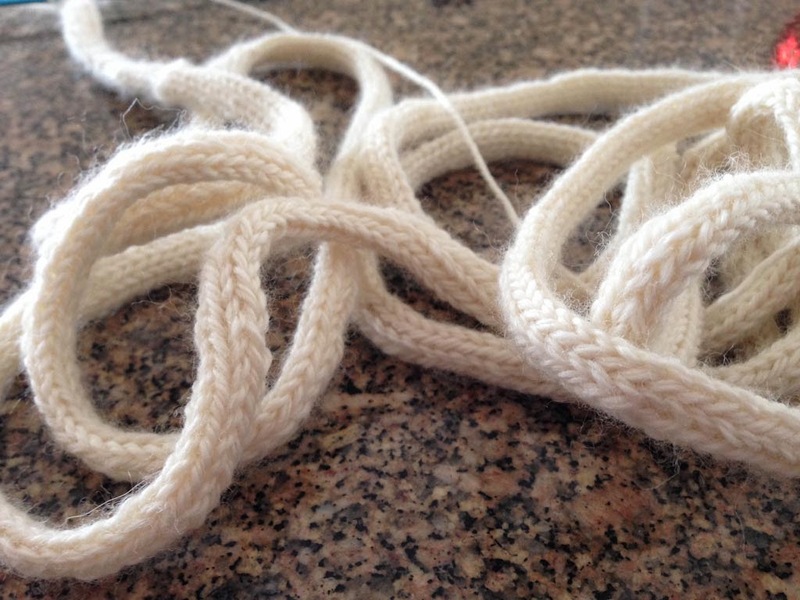 It is still hard on the hands, but it has got to be easier than knitting one. We used it for year but now it is a dog bed in the garage. 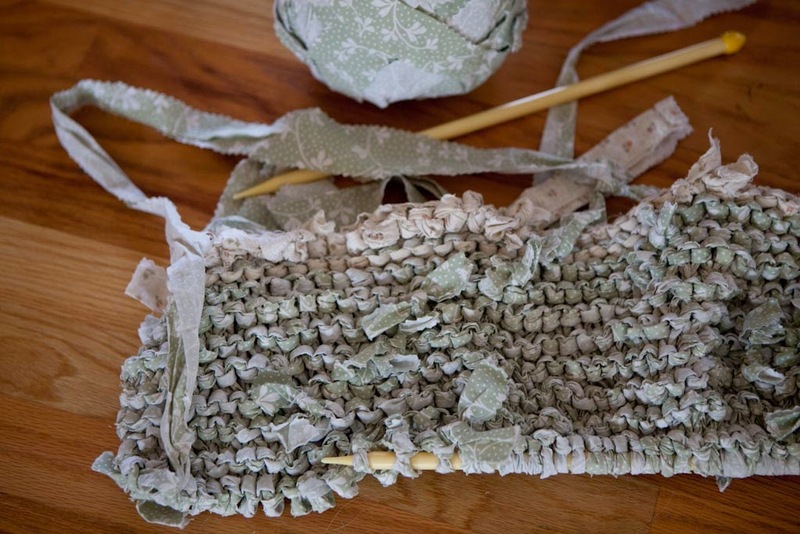 I've always wanted to try to make a braided rag rug. I have a stash of suitable rags in my craft room. I have never even started. So, hey, at least you started! I eventually bought one from a sweet, little Grandma type at one of the craft shows we were vending at. Also, I want homemade tree garland! Brilliant! I was thinking I wanted a new knitting project. Also, how cute is that first photo? Really. Too cute. I'm loving catching up on your blog...goats, "beeby" sitting, garlic planting, and most of all, your new baby! How much can be missed in a year (or two?)! Oh my goodness! These booties are soo adorable! We love booties here too!